Get the most out of your workout, all while ensuring comfort, stability, and wellbeing with the Wakeman Fitness Non Slip Yoga Mat. This mat features double slip resistant surfaces, offers superior impact absorption and relief, a carry strap for convenience, and at 1/4” thickness, is thick enough to protect your elbows, knees and joints from the hard floor. 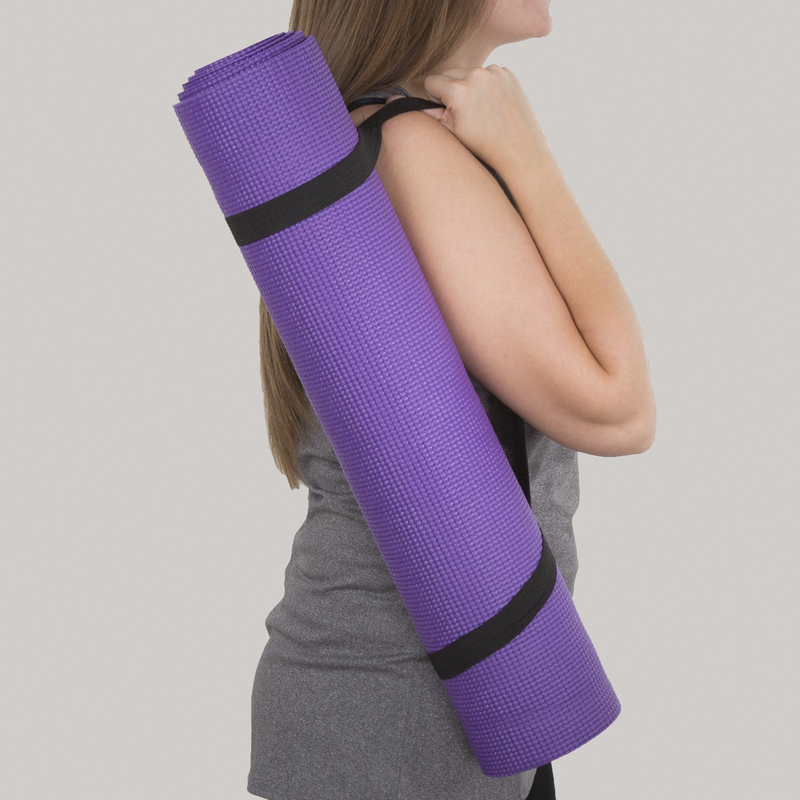 Constructed from durable and long lasting PVC foam, this mat is ideal for all types of yoga, Pilates, floor exercising and is even perfect as a sleeping pad while camping or traveling! IMPORTANT: Avoid buying counterfeit products and transacting with unauthorized sellers. Look for our logo on the packaging for every one of our products. Wakeman committed to providing the consumer with the absolute best price and value on all of our products, which we ensure by applying a rigorous Quality Control process. Wakeman is a registered trademark protected by U.S. Trademark law and will be vigorously defended. COMFORTABLE NON SLIP FOAM MATERIAL- Wakeman Fitness Yoga Mats are 71" long and 24" wide, ensuring a comfortable workout for everyone of all shapes and sizes! 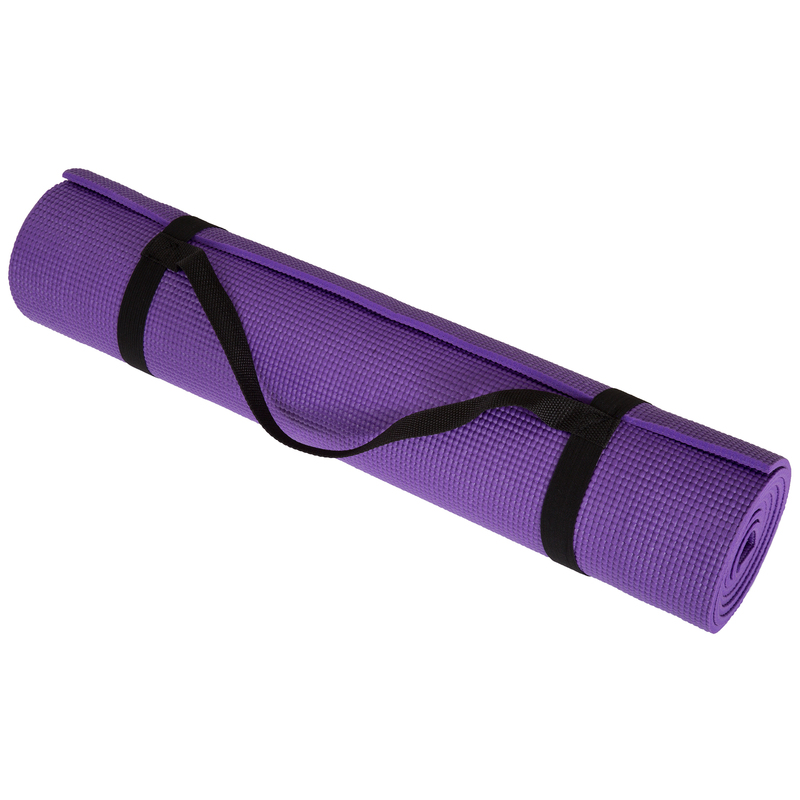 This yoga mat is constructed using high quality PVC foam to enhance the performance for yogis of all levels and the comfortable material features a dual sided nonslip surface for grip- providing optimum stability and balance during every exercise. 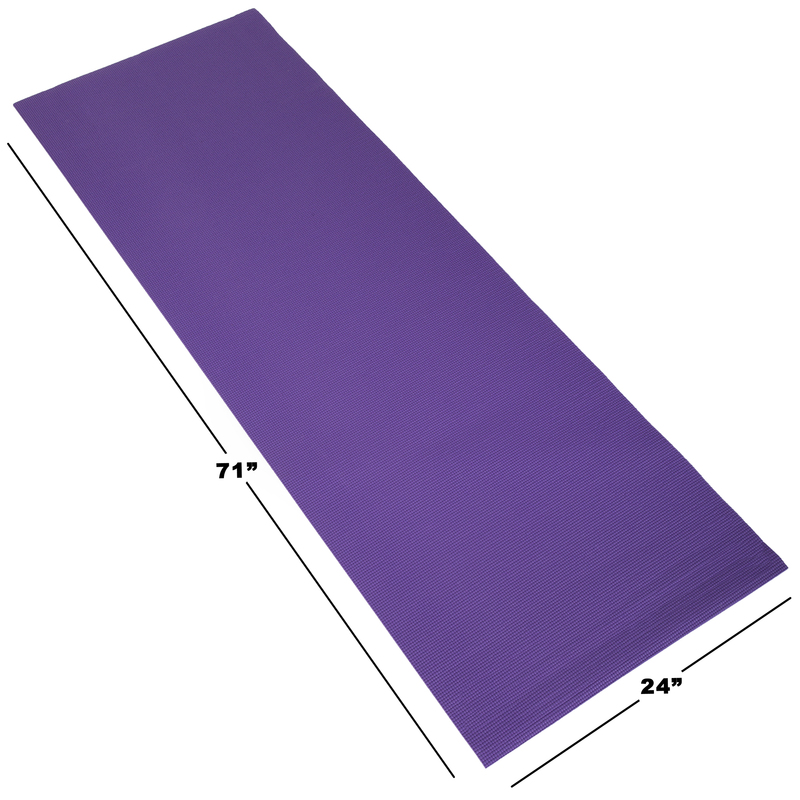 The ¼ inch thick mat additionally helps to cushion the spine, hips, knees and elbows from hard floors and surfaces. LIGHTWEIGHT AND PORTABLE- Even with the high quality foam slip resistant construction, this exercise mat is still lightweight and effortless to carry! Each mat also includes a convenient carrying strap for easy transport from your home to the gym, yoga studio, park and more. MULTIPURPOSE MAT- These multi-purpose mats are ideal for yoga, Pilates, floor exercises, ab and toning workouts, stretching and can be used both indoors or outdoors. They are also perfect for padding under a sleeping bag and can provide a soft seating surface while fishing or camping!